Wake up….Jesus is coming! A friend of mine who I have known for more than 25 years called me to relay a divine visitation from the Lord. This encounter appeared to be a universal message for the Church. Sis. 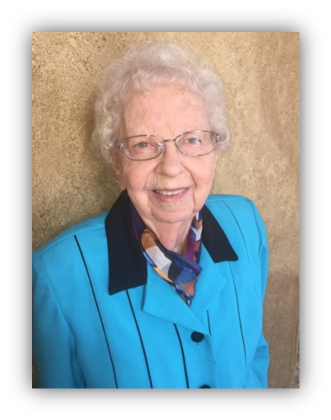 Hazel Rogers, a 93-year old intercessor, has been gifted with Godly dreams and visions since childhood and is committed to fervent intercessory prayer for the sake of Christ and His kingdom. For such a time as this…God met with her and spoke in a very powerful way! On August 3, 2017, early in the morning between 4:00 am and 5:00 am, I had a very stirring and astounding dream. It woke me up. It was so very powerful – I was shaking! I was sitting on the side of my bed. I began to walk through the house praying and crying. I felt like the Lord was coming very soon. I said, “Please, Lord help me. I want to know the answer of this message (the interpretation of the tongues of the Jewish man in the dream).” The Lord came into my living room, talking to me in an audible voice. I did not see Jesus, but oh…His voice! I was sitting in a chair; and He said, “My people, we have a very short space of time left.” I asked, “How much space Lord?” I then went into a vision, and I was on the bank of a river and the Lord walked passed me and knelt in the sand on the bank of the river and drew a line in the sand, and another line above that line, and it was twelve inches apart. I said, “Lord, that is just one-foot of time!” And, the Lord said, “I know, because we have a very short space of time left.” The Lord’s time is not our time. I don’t know His time. I had to call someone that also knows about the Lord; so, I called a friend at church, Sis. Lee. I said, “Sis. Lee, I had a powerful dream I must tell you about.” She told me she was going to call me because she was reading in chapter 11 of Romans about the Gentiles, and a voice was telling her to call me! (“…that blindness in part is happened to Israel, until the fulness of the Gentiles be come in. And so all Israel shall be saved: as it is written…” Romans, Chapter 11) What a confirmation! When Jesus left me on the bank of that river, I was looking at the lines He had made in the sand, and the ends of the lines began to roll up in the sand to the spot where 12 inches began, and then crushed in the sand like foil paper. All I could see was the lines that were 12 inches on four sides, a short space of time left. I was walking away and my vision left me. I am 93 years old, soon to be 94 next March. I’ve had the Holy Ghost for 70 years. I have talked to an angel, seen many visions, and felt His Spirit through the years. Read the Acts 2:38 message. Jesus is so powerful! I am so glad He chose me for this powerful message. I do not know how much time we have. Jesus’ time is not our time. 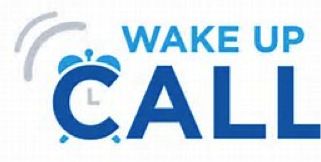 Answer the wake-up call… because time is winding down! I love you and hope you have a blessed day. Above all, I hope to see you on the other side!